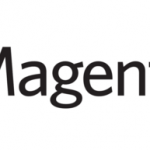 We all know that the best ecommerce platform is Magento, but this knowledge doesn’t prevent us from discovering new solutions that simplify online retail. The Internet is full of alternative tools utilized by the best ecommerce sites, and in this post you will find the most prominent Java ecommerce platforms and CMS. Hybris is a very popular Java based ecommerce framework for omnichannel companies and B2B businesses used by such companies as Asics, Samsung, Vodafone, Levi’s, and Nikon. It offers two major groups of products: commerce solutions and marketing tools. 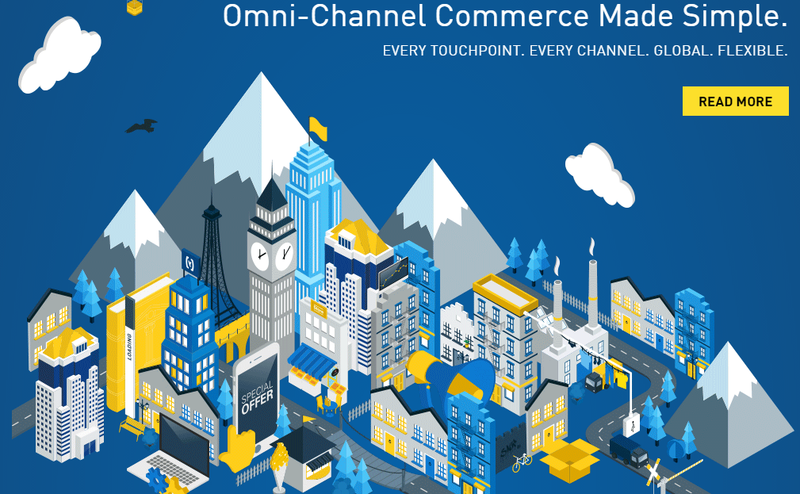 Hybris omnichannel commerce solution is designed to improve your communication with customers by offering a meaningful and consistent experience across all available channels. As for marketing solutions, the Java ecommerce platform offers a highly agile and scalable tool that provides a superior customer insight. With the best ecommerce software, Hybris helps its clients reach their customers everytime and everywhere. Hence, they can easily boost loyalty by delivering the best possible customer experience based on real-time data. Hippo is a Java open source ecommerce solution with the emphasis on real time data and multichannel experience. The key idea behind Hippo CMS is to turn content into a business differentiator by studying what is important to your audiences. With this insight, the Java ecommerce framework delivers personalized and optimized digital experiences to all your customers. The usage of real time contextual data provides the ability to refine online business strategy by responding timely to various metrics related to content performance. As for multichannel experience, Hippo provides the ability to create and manage not only several websites, but also a few mobile channels, tablet sites, and social media pages. Thus, it is a complex Java based ecommerce framework. offers a simple but yet reliable workflow builder to streamline your daily work. Magnolia is a Java based CMS built on top of the best open source stack for Java developers. It is optimized for leveraging the Java Content Repository, which specifies a hierarchical content store for both structured and unstructured content. This Java ecommerce platform offers wide opportunities for content storage and management as well as provides APIs that enable content reuse across different systems and within the enterprise. Besides, Magnolia relies on the Jackrabbit reference implementation, Google Web Toolkit, Vaadin, and Sass to deliver a stable and flexible ecommerce framework based on the latest innovations. Furthermore, Magnolia speaks Groovy, supports a plethora of Java frameworks and simplifies their usage within the system, offers a customizable built-in 4-eye workflow, and incorporates tag libraries. 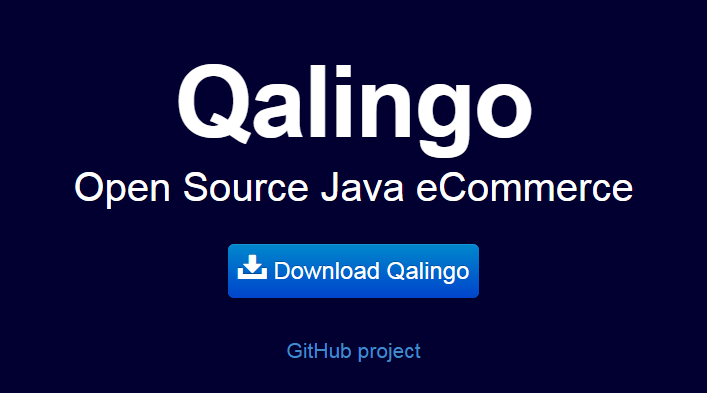 Qalingo is another open source Java ecommerce platform developed for both B2C and B2B businesses. Besides, it is fully optimized for top-notch mobile experience. The Java based ecommerce framework is translated into 7 languages anв offers a number of localisation features. For instance, you have no limits in case of currencies or get the ability to add unlimited taxes. As for SEO, Qalingo Java ecommerce platform also provides several useful improvements such as meta tags management, canonical URLs, support for Google Sitemap, and permalinks. Besides, it offers features that essentially enhance performance. For further information, follow this link. 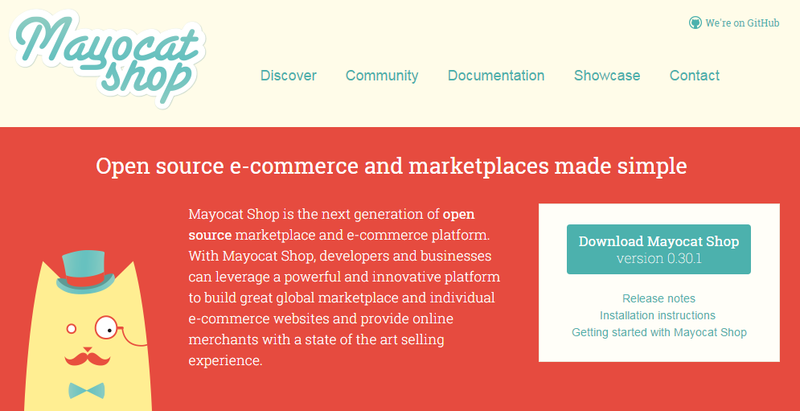 Mayocat introduces the next generation of Java open source marketplaces and ecommerce platforms. Although the solution is based on Java, it provides the ability to make and run an ecommerce website with only the knowledge of HTML. Other platforms utilized by Mayocat are ElasticSearch, Jersey, PostgreSQL, Jetty, etc. The usage of these technologies helps to streamline development and provide the maximum performance and scalability. 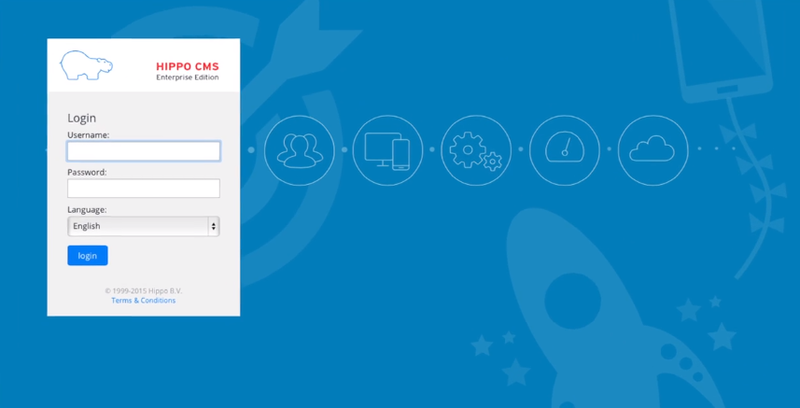 It is also worth mentioning that Mayocat provides the ability to create several ecommerce websites on the same platform and connect them together in one robust system. Kadro Merchant is also a full-featured Java based ecommerce framework designed for any point of your ecommerce business lifecycle. It provides some awesome services as well as strategic support important for further business growth. Website design, implementation of an ecommerce store, hosting, SEO, and various software enhancements are available with Kadro Merchant. If some of the aforementioned Java ecommerce platforms are aimed at developers only, this one is a user friendly solution for merchants, since it provides a lot of simple but powerful tools within a convenient interface. Besides, Kadro Merchant supports multiple transaction types, provides an advanced shopping cart, and offers multichannel capabilities. Broadleaf is 100% Java and 100% customizable. The ecommerce platform provides nearly limitless capabilities utilized by such companies as Pep Boys, Ganz eStore, Vology, and The Container Store. Being a “multi-everything” ecommerce solution, Broadleaf supports the usage of multiple websites, currencies, channels, languages, and tenants within one ecommerce system. Personalized and targeted marketing are also among strong points of this Java ecommerce platform, since it incorporates a robust promotion engine and a convenient CMS with a WYSIWYG editor. As for scalability, Broadleaf can easily grow with your ecommerce business. The platform is proven by millions of products and hundreds of transactions per second. SoftSlate is an open-source Java shopping cart that offers a full set of ecommerce features as well as high performance. Being extensible and customizable, this ecommerce solution already powers dozens of online stores worldwide. Please note that there are three basic editions of SoftSlate. The enterprise edition costs almost $5,000 per year and provides a set of unique features as well as full access to the source code of the platform. The hosted edition is even more expensive – its price starts from $7,390 a year, but it offers more opportunities and additional support. As for the community edition of SoftSlate, it is available for free, but with a limited number of features. You can check the comparison of all three plans here. 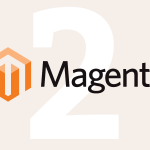 Such differentiation looks like Magento’s approach, isn’t it? See the official website for other features. Shopizer is a free Java open source ecommerce software solution built for mobile devices first that offers a set of web and mobile tools, APIs, and apps for building online storefronts. It gathers an agile community of both ecommerce and Java experts willing to change the modern ecommerce. Their goal is to make online trade more affordable, but unfortunately the platform is still aimed at developers. 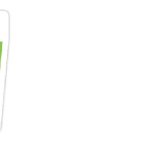 Besides Java, the technology stack of Shopizer includes Spring, Hibernate, and JQuery. Therefore, you can create a robust online store in minutes on the basis of a secure, reliable, and fast application. If you already have an existing ecommerce solution, it is possible to integrate with Shopizer with the aid of its set of tools, APIs, and a customizable development environment. 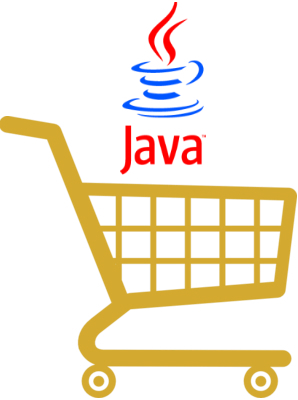 The basic set of components introduced in this Java open source ecommerce software include catalogue, shopping cart, search, checkout, and administration. You can download all of them from GitHub here. As for Elastic Path, the platform is based on Java since it is scalable and flexible solution. It is a completely open source ecommerce tool which can easily gather all your touchpoints within one system bringing such advanced selling capabilities as merchandising, promotions, pricing, and order management to your clients. Elastic Path provides top-notch ecommerce experience everywhere from simple mobile applications to the most complicated websites. It is one of the best Java ecommerce platforms for building omnichannel experiences. And with various catalog, merchandising, pricing, and promotional features and customer service tools, Elastic Path can easily satisfy the requirements of every ecommerce enterprise. JadaSite is a Java based ecommerce software solution that offers AJAX-based components and WYSIWYG editors. Being fully open source, it doesn’t require programming skills, but leverages enterprise Java development. JadaSite supports multiple stores, currencies, and languages, provides inventory tracking, and offers flexible tax and shipping calculations. Besides, it incorporates coupon support, full order lifecycle, as well as extensive security features. If you feel uncomfortable with all this stuff, JadaSite’s specialists can create an ecommerce website for you. Being a community-driven open source platform, Apache OFBiz charges no licensing fees. 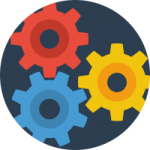 The solution can be utilized for the automation of various enterprise processes and offers different framework components and business applications that simplifies the integration with such systems as ERP, CRM, SCM, MR, MMS/EAM, and POS. As a result, you can easily create an advanced ecommerce website with all available enterprise-level features. Check a complete feature set on the official website of this ecommerce platform. 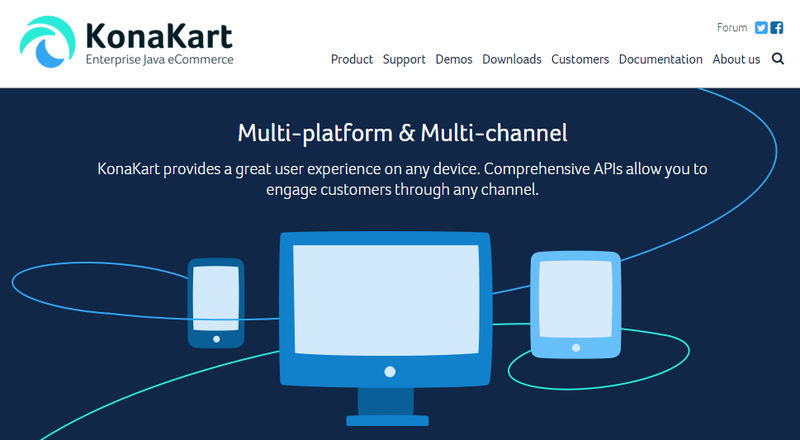 KonaKart is a Java based shopping cart software and an ecommerce platform for online retailers of all sizes. Being easy and at the same time highly customizable, the solution provides high performance, powerful administration, and low cost of ownership. KonaKart powers websites of such companies as Volkswagen, Audi, Leroy Merlin, etc. You can find a full list of KonaKart’s features here. Here at Firebear, we think that every interesting Java based ecommerce platforms and CMS deserves attention, so if you think that we’ve missed something, please inform us via the following comment field.